I was a bit unsure of what to expect from this album. I haven't come across many Rajesh Roshan soundtracks, and with one exception I've been unimpressed with the few I've heard. 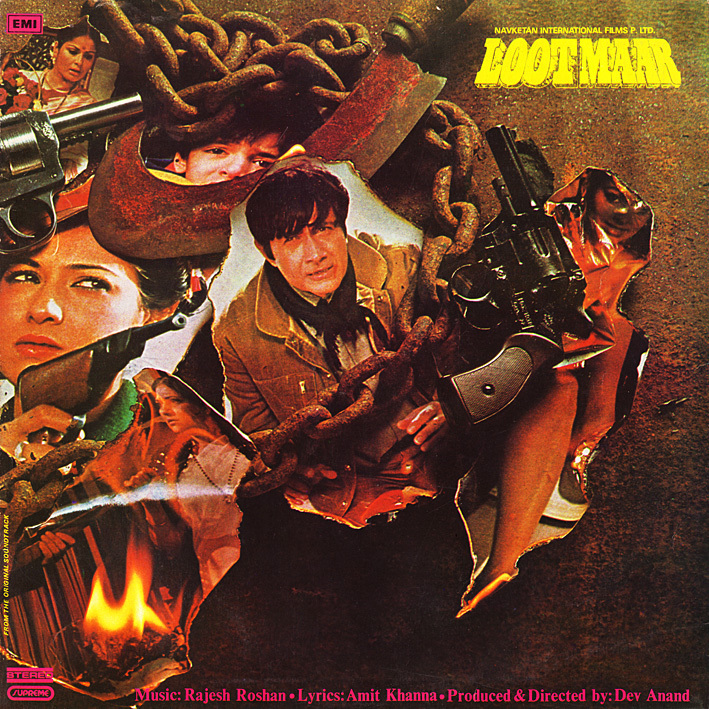 I was however very much taken with the song 'Jab Chaye' from 'Lootmar', which I first heard as part of tributes paid to the film's director/star Dev Anand on his passing a few years ago. It's a terrific and gloriously catchy disco stomper; relentless drumming, swirling strings, psychedelic flourishes; not entirely dissimilar to Bappi Lahiri at his funky best. (Various remakes and remixes on YouTube would suggest it's still popular). I quickly sought out and obtained a copy of the album, optimistically hoping it would include more of the same. Unfortunately, it doesn't. The remaining tracks are in fact quite unremarkable. I expect opinions may differ on this though. Well... let's just say it's worth it for "Jab Chaye," which is pretty infectious. That is is. Btw Carl (or anyone), are you able to recognize the melody the keyboard is playing from approx. 1:50 - 2:05 in the video? Very familiar but it's driving me insane that I can't pinpoint what it is. Thanks Reza. Yes, it was identified by Deewani over at the Facebook group earlier today; my mind is at peace again. i sing " ab chahya PC bro i rips ka jadoo"
great rip PC, though it is remembered for song "jab chahye " but also has a inspiring song 'Hans to Hardam' with typical Rajesh Roshan Style.